Mention the Land and Water Conservation Fund (LWCF) to a room of mainstream conservation organizations and you are likely to get common responses on the value and importance of LWCF, as well as the urgency of ensuring it is re-authorized and funded before the Sept 30th deadline, when it is set to expire. This is an important and simple program started in 1964 with a history of bipartisan support and with designated funding from offshore oil and gas development—but today’s politics have put it in danger. Nonetheless the mainstream conservation movement has been pushing hard to ensure that the fund continues because they know the value it brings to the conservation field at the local, state, and national level. You can see this reflected in the membership and messaging of the Land and Water Conservation Fund Coalition, the main coalition of conservation organizations advocating for LWCF. In its 50-year history, LCWF has conserved iconic landscapes in every state, helped preserve America’s history through heritage conservation, and provided outdoor access to hunters, anglers, and outdoor enthusiasts—there is much to lose if LCWF is not reauthorized. Mention the LWCF to a room full of Latino leaders and organizations and the reaction may be different, but more and more it has been coming in sync. Obviously not from a lack of having connections to, and caring for, land and water—we have shown we have a history of heritage and involvement in the environmental and conservation movement. Rather, there is a push and acknowledgement in the role and impact that Latino leadership can have. Ensuring that Latino voices and leadership are present in this work, with an understanding of how these policies and laws benefit or exclude Latino communities, has become more present as Latino leaders continue to move these issues to the forefront. It is simple; Latinos are not a one-issue community and should not be typecast as such, despite the prominent narratives that are shared in our news cycles and political spaces. It is about showing the diversity of issues that Latino communities care about and that affect them, just as is the case with many other communities. That does not mean that we have had equitable access or information about these processes, but it should clarify our communities are impacted by the same environmental and conservation decision-making as with others, but now we are staking a role in the process. We can point to Latino congressional leadership representing this, community leaders speaking out clearly about LWC, we can see traditional Latino-led organizations and coalitions staking a position on it, and we have more Latino-led organizations with a conservation focus owing this space. It is acknowledgement of “we are here, estamos aqui”—not new in the work, but perhaps more visible in the movement, and certainly with more ownership in the voice. The Land and Water Conservation Fund is and can be an example of how Latino leadership and communities are involved in conservation funding the future, acting on present conservation issues, and engaged in building on the conservation successes of the past for a more diverse legacy. 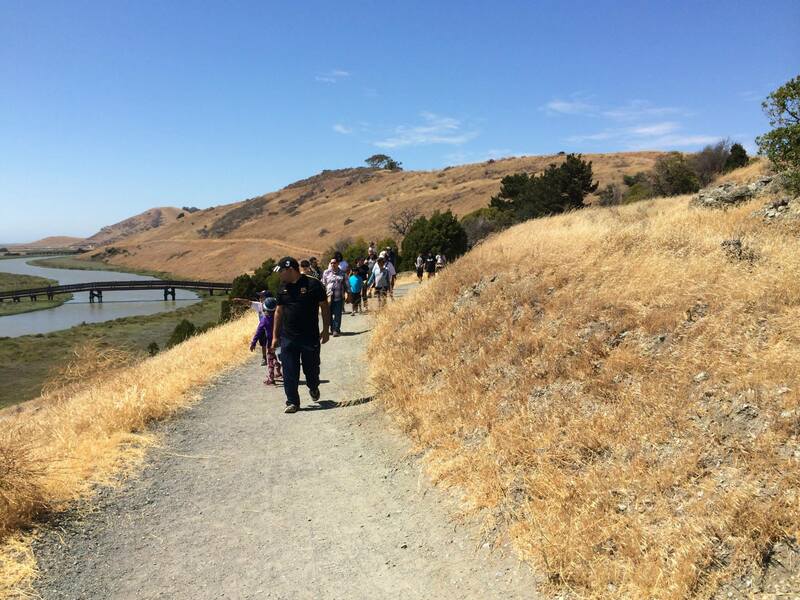 Many Latino communities may not know that LCWF has brought benefits to their communities through more parks, open space access, and public lands stewardship. They may not know that more can be available. LCWF provides funds and matching grants to federal, state and local governments for the acquisition of land and water, and easements on land and water, for the benefit of all Americans. Latino leadership is and will continue to more present—but we need to continue to show como estamos aquí, porque es importante usar nuestra voz. Pa’ delante, siempre pa’ delante. This post was produced for La Madre Tierra, a project to amplify the voices of Latino advocates for our special public lands.